Welcome to PearlHOUSE, the home of SoldOUT Believers. WP-Bible plugin – And he appointed twelve (whom he also named apostles) so that they might be with him and he might send them out to preach. 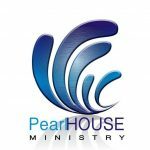 This commission, “PearlHOUSE” was ignited into manifestation on the 10th of November 2013 but became fully operational on the 2nd March 2014 with its first “EveningTIDE Service” at 23 Road, P Close, House 7, Festac Town, Lagos, Nigeria.. Since then its been a blast in the Presence of God. Testimonies that can only be attributed to God and not the hands of men have been experienced here. PearlHOUSE has a 5 Man Board of Trustees and runs its operations on a 7 Points Mission Mandate numerated below. 1. Preach the Gospel of the Kingdom. 2. Encourage all round growth based on the Word of God. 3. Develop a sense of accountability before God and Man. Our Core Values: are Service, Ownership, Love and Determination or S.O.L.D for short. Our Logo also christened “Go Ye” signifies a Fired-Up 5-Fold Offices of Ministry (Apostle, Prophet, Evangelist, Teacher and Pastor) going wherever in the world the Lord determines we go …Spheres of influence, Marketplace, Local Assemblies, etc.